Very cute :) Love the sentiment! Adorable card, and perfect sentiment for anything with wings!! So Adorable. That sentiment is perfect for the cute little bird. This is soooo cute Candace. I love that bird!!! 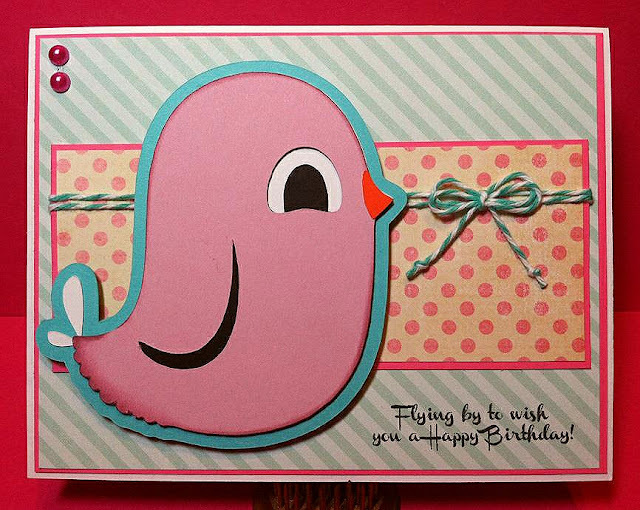 super cute card.love the colors and sentiment.